A Service Level Agreement is a written set of rules and objectives for achieving a business outcome. As the word “agreement” would suggest, multiple parties have to agree on the terms. For an inhouse SLA, these parties are the WFM team and operations. For a SLA with an outsourcer, the parties are your contact center and the outsourcing provider. A SLA creates alignment. Take for example WFM and operations (or client management if you engage with that group) which all have different lenses. The rules WFM would impose in isolation are completely different than what operations would. This makes sense, because each is also responsible for a different set of metrics. There may be some overlap, but generally objectives are either at odds, or WFM has a sole focus (efficient service levels) and operations has to balance that with customer satisfaction, employee satisfaction, attrition and other metrics. SLAs take both perspectives into account and establish a common ground for going forward. What are the benefits of SLAs for Contact Centers? First, a SLA makes sure everyone is working to the same objectives. This ensures everyone is set up for success. There is less friction in the system and you spend less time negotiating and debating and more time solving problems. Second, it makes planning easier. You have a clear set of objectives to build a plan on. Your target service level, average speed of answer, or abandon rate is set and everyone is aware of the objectives. Lastly, it helps to build a better working relationship between workforce management and operations. The process of building a Service Level Agreement supports conversation and alignment between both groups to come up with a shared set of objectives. When you start creating a SLA, you first need to define what you want to accomplish. For contact centers, you’re talking about accessibility for your customers. There are several different ways to measure this based on what you want to achieve. Start by laying out what you want to accomplish first, and then determine which metric to use. For example, if you want the customers to wait a “short amount of time” on average, you’d likely choose ASA (Average Speed of Answer) as your metric. If you want to ensure that a high percentage of your customers gets through quickly, you’d want a Service Level metric. There are pros and cons to each of these. ASA (Average Speed of Answer) = The average time a caller is in queue before they are answered by an agent. SL (Service Level) = The % of callers who are answered within a set threshold. E.g. a service level of 80/20 means 80% of all calls are answered in 20 seconds. Note: The SL can either be based on the handled calls only or on all offered calls. Abandon Rate = The % of callers who abandon before being answered. ASA will tell you the average experience for a customer, but it ignores the extremes. If you have some calls wait 20 minutes, and then answer every call immediately for a few hours, you can have an ASA under 20 seconds. It looks good, but you run the risk that someone waited a really long time. SL will tell you definitively that a percentage of the calls were answered in less than 20 seconds, but like ASA, you don’t get a view of the extreme cases. Abandon rate will tell you simply what percent of your customers eventually got connected. There are also variants of these metrics. You can use a “refined” ASA, SL or Abandon rate. What does that mean? Well, it means you are filtering out certain calls that you don’t want included. The metric isn’t pure and tells a slightly different story. One example is taking your SL metric and removing any call that didn’t wait the full threshold. If you are using an 80/20 SL, then your refined SL would be 80/20 excluding any call that abandoned in less than 20 seconds. The logic here is that you’re staffing to answer the call in 20 seconds. If the customer doesn’t give you the full 20 seconds to try to answer it, do you want that to count against you? Remember that the stricter the service level target the more expensive it is to staff to. You want to make sure that every bit of money you spend on labor is for an intentional objective. 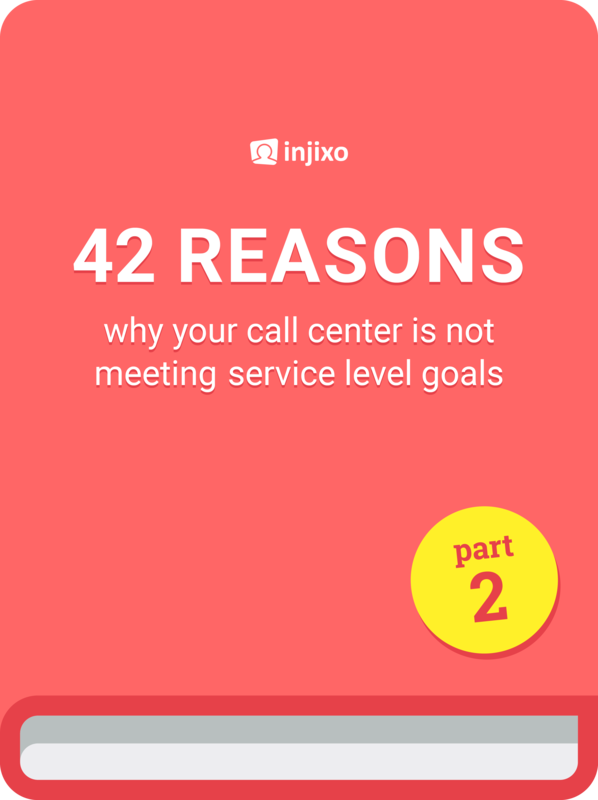 Most call centers don’t use a refined service level, but it can help manage costs. This same refinement can be used for abandon rate. If a call hangs up in less than 5 or 10 seconds, did they really give you an opportunity to answer the call? 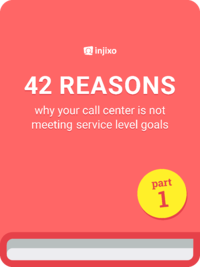 >> Also interesting: Do you have the right service level goal in your contact center? Which metric is best for you? As I mentioned, it depends on what your business objectives are. If you’re taking general customer service calls, ASA can work well. If you have an elite line for premium members, you may want to use two SL metrics. A primary metric of 90/10 and a secondary of 99/300. This means 90% of all calls get answered in 10 seconds and 99% of all calls are answered in 5 minutes. This means your general staffing model will take care of most calls, but the secondary metric will measure how well you’re ensuring only 1% are waiting a long time. In sales call centers, abandon rate tends to be a better metric than SL or ASA. The reason is that the objective is to get as many opportunities to get a sale as possible. It’s more important to know what percent of the callers can get through than how long they wait. There’s generally also less of an existing relationship that’s being managed as there is in a customer service call center. Finding a way to actually build a staffing model to an abandon rate can be a challenge. One method to do this is to see how abandon rate correlates with SL, then staff to that SL. This should be re-evaluated a few times a year to see if the relationship changes. The next part of a Service Level Agreement is setting the rules of engagement. In WFM, you need to have clear expectations of how the calls and staffing is actually managed. Assuming you’re using a SL metric, when it falls below target, what actions can you take? If you re-skill agents, who notifies them? What if they haven’t taken that call type in a long time and aren’t comfortable? There is a lot to consider, and if you only have 20 seconds to answer a call before it fails the threshold, you have to be able to execute the right actions immediately. Negotiating the rules of engagement needs to be done in advance. First, you need to define the criteria for action. A simple one-pager will do here. If SL is 0-5% below goal, maybe this should count as an alert to WFM and operations that performance is deteriorating. At 5% - 10%, you may want to cancel discretionary offline activities and begin reskilling. When it’s worse than 10% below goal, you may want to take an “all hands on deck” approach, so everyone goes on the phone. If you make this simple enough, then all team leaders can have it posted at their desk. Everyone will know what their part is when SL hits a certain threshold. I want to talk a little bit about re-skilling as part of the SL management. Re-skilling can be a contentious issue with operations because agents don’t always like to take different call types. The decision which agents to re-skill at a certain threshold can be based e.g. on the comfort level of those agents with the call type. Sometimes the additional call types you give them have higher handle times, or lower customer satisfaction. The first thing you need to do is to partner with your training department. Get together a list of call types agents are trained to take. Using their expertise, establish a threshold for length of time when they need to be re-trained. It may be 6 months of not taking a call type which requires retraining. What do the best call centers do? They don’t re-skill manually. Instead, all of the overflow is done automatically through the phone system. Virtually all systems can do this efficiently. You set the business rules and calls overflow automatically as needed. This eliminates manual intervention and makes your Service Level Agreement even easier, because there is no negotiation, it’s just part of the base plan. So what do you do if you work with an outsourcer and you need a Service Level Agreement with them? First, you need to make sure you have your own Service Level Agreement in place, because your outsource Service Level Agreement needs to support that. There are a few different ways to use an outsourcer. Two common ways are: 1) to outsource a piece of business and the outsourcer gets paid per call or 2) to outsource a piece of the volume and they get paid for each FTE (Full Time Equivalent) they contribute on the phones. For the first example where the outsourcer gets paid per call, you can just give them the same service level target you use internally. If you’re sharing volume with them (the second example), then you can’t just use service level. This is because their service level is interdependent on yours and vice versa. If your call center has high absenteeism it may force more calls to your outsourcer and they fail SL. This isn’t a result of their performance though. You need clean service level targets for partners. A best practice here is to require them to achieve “Interval Adherence”. This means you assign them a number of productive FTEs to have on the phones at every interval. The target needs to be high. 90% of the intervals achieving 90% staffing level is pretty common. You forecast the total number of FTE needed at every interval and then allocate them to your call centers and to your outsourcers. A good rule of thumb here is to set the partner interval adherence aligned to your internal call center schedule adherence. If your schedule adherence is 93%, then set the outsourcer’s interval adherence at 93% as well. As you plan, this will help ensure you have the same level of staffing expected from your outsourcers as you do in-house. >> Have you ever tried to nail your service level by manipulating supply and demand? What else to include in your SLA? After you have gone through the steps above, you may want to add further components to your Service Level Agreement. The items I’ve listed so far are the most common ones, but there are other components you may want to consider. In a broader Service Level Agreement, you may e.g. also want to include turnaround times for schedule change requests. You can basically add elements for any interaction between WFM and operations to your SLA. Now it’s time to put together a recommendation for a Service Level Agreement. Once you have a recommendation, you’ll need the support of your leadership. Your leader may actually be the one who needs to pitch this to operations. It is sometimes hard for the WFM team to put themselves in the shoes of the operations leadership. However, this is absolutely critical. If you proceed with only a WFM hat on, your plan likely won’t get adopted. It needs to be balanced and the needs of operations are essential here. Another mistake is building SL targets that are too aggressive. It sounds better to manage to an 80/20 SL instead of 70/30, but it’s also a lot more expensive. It sounds good to state that you want to achieve SL at every interval or every day, but that gets even more expensive. Do you clearly know the benefit of having those extremely high SLs? If not, you may be wasting money. A very common mistake is to not suggest a new service level metric in the first place because you think that leadership won’t be open to it. Remind yourself that recommending new metrics or new targets shows you’re thinking about how to make things better. It shows you’re being proactive. You have a unique perspective and an opportunity to bring new thinking into your contact center. If you don’t know where to start, talk to your leader. 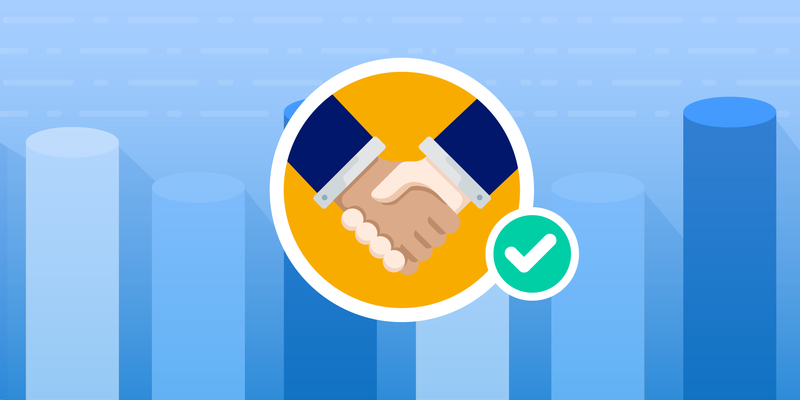 Building a new Service Level Agreement with the right metric can make a huge difference for you. The change starts with you! We will soon publish a SLA template which you can use to easily create your own SLAs for your contact center. If you want to be informed as soon as the template is available, go to the top right corner of the page and subscribe to our blog newsletter. >> If you want to dive deeper into the topic, take a look at the whitepaper The Golden Rules of SLAs published by Fonolo.